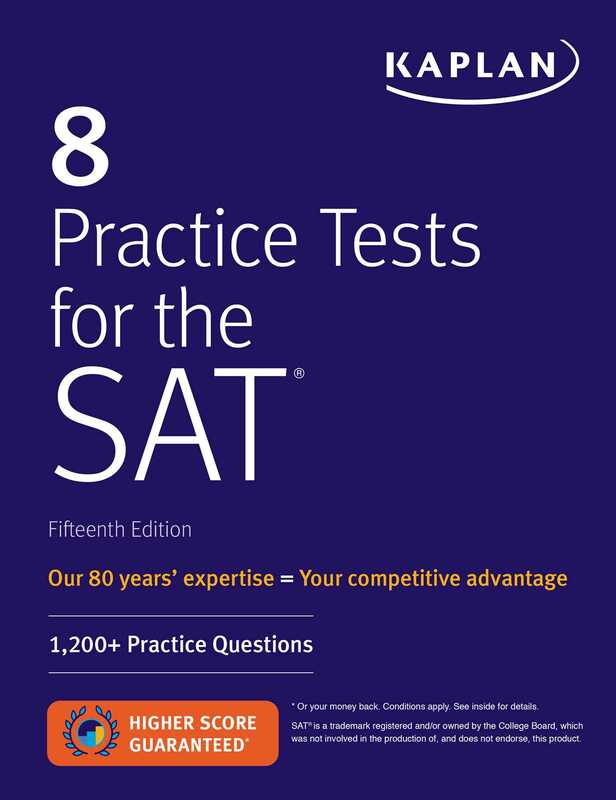 Kaplan's 8 Practice Tests for the SAT provides printed practice exams and expert explanations to help you face the SAT with confidence. More than 1,200 realistic practice questions help you get comfortable with the exam format so you can avoid surprises on Test Day. Detailed answer explanations written by our experts help you determine your strengths and weaknesses and improve your performance.